23 Mart 2019 Cumartesi 03:01 - 1 reads. An old car from the Soviet era in Russia revived. Russian technicians have the car transformed into a stuntwagen. The old model upside down roles if he is in motion. And this with the help of a metal frame on the outside. The model ‘Niva’, was the first off-roadvoertuig, a typical model for the Soviet Union. 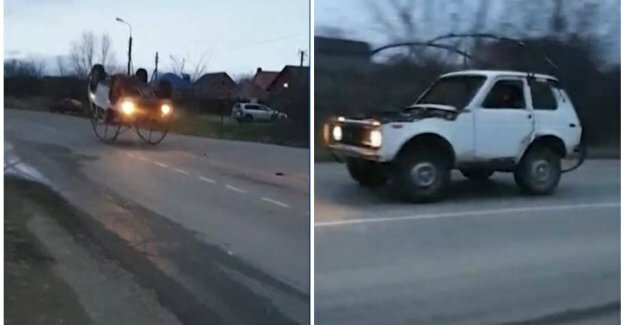 The white car with the Russian nickname of ‘Zhiguli’, has already received a lot of attention on social media. Also that of Elon Musk. On Twitter he was asked what he of the car found. He responded in Russian with ‘haha awesome’.